OnraHost has been around since 2012 and is a registered company in the United States. They’re 100% debt-free and fully own their own hardware. On top of that they guarantee no overselling and offer a wide range of products (from shared/reseller hosting to OnApp Cloud and dedicated servers). These offers are labeled as ‘premium’ because of their undersold character and limited number of servers per host node. Host nodes have enterprise-grade hardware and at least 4 hard drives in RAID10. Reviews of OnraHost have been predominantly positive, but we’d still like to hear from you as well! Payments can be made using PayPal, Bitcoins (via Bitpay), and credit cards. 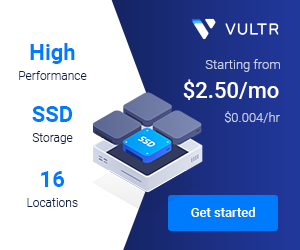 There’s a money-back guarantee in case you’re not satisfied with their services, which is limited to two days for VPS servers and does not include add-on services or domain names et al. For all the details on this and more, please read their Terms of Service.